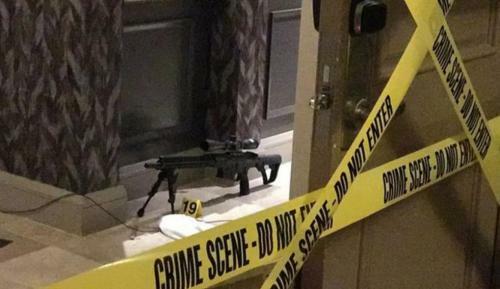 LAS VEGAS — The Baltimore Post Examiner was the first media outlet to describe the importance of the lock interrogation reports for Stephen Paddock’s rooms at the Mandalay Bay Resort Casino during his stay and specifically for October 1, 2017. Those lock interrogation reports will confirm whether or not the deadbolts on rooms 32-134 and 32-135 that were engaged before Paddock opened fire on the Route 91 Music Festival as indicated in the Las Vegas Metropolitan Police Departments Force Investigation Team’s Preliminary Investigative Report, were ever disengaged after the gunfire stopped. If either one of those deadbolts disengaged prior to the police breaching the suite during that over one hour period after the last shots were fired, then it is possible that someone may have exited the rooms. The Baltimore Post-Examiner has been questioning in several stories why the LVMPD have not released the lock interrogation reports to date. The Law firm of Texas attorney, Craig Eiland, one of several attorneys representing victims of the October 1 mass shooting, sent a public information request to the LVMPD on June 29 for lock interrogation reports, cell phone videos and records. The attorneys still don’t have the records. All lock interrogation documents from Mandalay Bay Resort and Casino obtained by LVMPD in connection to the 1 October shooting. All cell phone videos obtained from any individual at Mandalay Bay Resort and Casino for the period of 12:00 AM on October 1, 2017 to 11:59 PM on October 2, 2017. All cell phone records obtained from any individual at Mandalay Bay Resort and Casino for the period of 12:00 AM on October 1, 2017 to 11:59 PM on October 2, 2017.